16:13 Watch, stand fast in the faith, be brave, be strong. 14 Let all that you do be done with love. I'm not sure this needs commentary. Let me add a quote and we'll see what happens. Faith and Love. Stand firm in the faith. What faith? The faith of Jesus. Did you know Jesus has faith in you? He had faith in fumbling Peter and Jesus has no favourites so that means He has faith in you and I too. He knows we will fail Him sometimes. He knows we will make a real mess of things sometimes. But He has prayed for us. He prays for us daily. (Hebrews 7:25) I was talking to a friend last night and they said that sometimes things happen that shake them. Their faith goes a little sideways but then they come back to the realization "Who but God? Where else can I go?" It reminded me of the words of Peter when Jesus shook them with a teaching they couldn't grasp and a bunch of people left. He turned to His disciples and asked "Will you leave too?" It was Peter that answered. "Where will we go? You have the words of eternal life." The Bible says we love God because He first loved us. It is also true that we have faith in God because He first had faith in us. Now love. The greatest of all things is love. That's really where our faith is rooted - in God's love. If we lose the belief that He loves us we will give up. His love is extravagant. Before Peter denied Jesus, He knew it was going to happen and instead of being angry or hurt by it, Jesus prepared Peter for both his imminent failure and his future restoration. "I have prayed for you Peter that your faith doesn't fail and when you have been restored strengthen your brothers." We often get so focused on Peter that we forget the rest failed Jesus as well. Jesus prepared Peter so that he in turn could help the rest. Jesus was facing betrayal at the hands of His friends and His concern was them. That's love. Relentless unquenchable love. It is His love that is the only power that can heal. Think about that. Of all the options Jesus had at His disposal to deal with Peter in his betrayal He chose extravagant love. Peter lost faith in himself. His theology was torn to shreds. Everything he had been taught from childhood was pretty much wrong. The almost unbearable ordeal left him stripped of all but one thing - Jesus loves me still. Jesus loves me this I know, for the Bible tells me so. Little ones to Him belong. We are weak but He is strong. Yes Jesus loves me. Yes Jesus loves me. Yes Jesus loves me. The Bible tells me so. 16:10 And if Timothy comes, see that he may be with you without fear; for he does the work of the Lord, as I also do. 11 Therefore let no one despise him. But send him on his journey in peace, that he may come to me; for I am waiting for him with the brethren. Timothy was young. He was just starting out. The Corinthian church you will remember was arguing over who of their pastor/teachers was the greatest. Timothy was not on that list. He was not part of the discussion. He was a newbie. Being new can be tough. Being new and young is even more challenging. Age demands a certain level of respect but youth does not. I am not familiar enough with ancient Greek culture to know what their attitude toward young people was. Certainly the Jewish culture was less than friendly to the "underage". I can only assume from Paul that the Greek culture was not any better and perhaps worse. When writing to Timothy, Paul advised him "Let no man despise your youth." I have always chuckled at that advice. How exactly does one do that? When I was an intern and barely 20 years old I filled in for a church that was between pastors for a summer. They had a man attending who was difficult to deal with to put it mildly. He would come for the Bible study portion of church and had lots to say but would never stay for the sermon. It seems he felt he had lots to teach others but nothing to learn, at least not from me. One day during the study time we were discussing the different words the Greek language had for love. He went into a big explanation that I knew was less than accurate because we had just studied this in Greek class. When he was done I responded based on what I had learned. Before I could even finish he glared at me and asked "How old are you?" I made the mistake of answering the off topic and inappropriate question. His venemous response was "Well then what do you know?!?". Paul told Timothy not to let anyone despise his youth and he wrote to the Corinthians using the same word. "Let no one despise him." I don't remember anyone telling that man he was out of line for what he said to me. Note that Paul didn't say "Don't despise him." He said "Let no one despise him." We have a responsibility to support and protect each other, especially the more vulnerable. To finish the story I had no idea what to say to or how to deal with this person. He was getting increasingly disruptive and kindness and patience were not working. So one day during the week I went in and sat in the spot where he always sat. I prayed. I said something like "God I know you love him. I know you know all about him. If he is supposed to be here and there is something we need to learn from him or something we can do to help him then please help us to see what it is. But if he is not supposed to be here please don't ever let him come again because we have no idea how to handle him." The man had never missed a week that summer but after that short talk with God I never saw him again. People can tell me there is no Good and sometimes they do. They can say that him not returning was a coincidence and some would. If it was a coincidence I can tell you I have experienced an unusual amount of 'coincidences' in my life. The bottom line is that while many churches are clamoring for the Apollos pastors there are some fine young pastors on the way up. Give them a chance. Let no one despise their youth. I believe it was God's will that Apollos didn't come so that Timothy had some time and space to demonstrate the gifts God had given him. If you are older make it a priority to support and make room for the gifts of a young person in your sphere of influence. 16:8 But I will tarry in Ephesus until Pentecost. 9 For a great and effective door has opened to me, and there are many adversaries. I count tell you how many times I have heard Christians reason out God's will for their lives based on circumstances. If everything falls in place easily they conclude it was God's plan for them. If opposition and difficulty arise they interpret it as God closing the doors. Really? What if Jesus had taken that approach? What if Peter and Paul had? Not only is a smooth path no indication of what God's will is, it is likely an indication you are heading in a direction that Satan has no issue with. Think about it. We are in a war zone. All the books and movies made about the classic battle between good and evil are mere shadows of what we are actually living. Jesus was attacked by both enemies and friends precisely because He was fulfilling the mission for which He came. When the good guys go in to rescue someone from the bad guys does the action in the story calm right down or heat up? Look at what Paul told the Corinthian church. He basically said "I'd like to come and stay with you but I have to go to Ephesus. Not only is there a great door of opportunity for me there but I know it's urgent because the adversaries are many." Paul correctly interpreted opposition as an indication he was headed in the right direction. The closer you get to the princess in the tower, the bigger and more numerous the arrows. 16:5 But I will come to you after I go through Macedonia, for I am going through Macedonia; 6 and perhaps I will stay with you, or even spend the winter, so that you may send me on my way wherever I may go. 7 For I do not wish to see you now just in passing; for I hope to remain with you for some time, if the Lord permits. 8 But I will remain in Ephesus until Pentecost;9 for a wide door for effective service has opened to me, and there are many adversaries. I must admit I hate time. It's like a relentless ticking noose around my neck. There is never enough of it. I can so relate to Paul's quandry. He loves the people in Corinth. He is passing right by them and it's been a long time since he has seen them. However he is under the limiting factor of time. Because he can't spend any significant amount of time there he elects not to spend any. "For I do not wish to see you now just in passing..."
There in lies my struggle. What's better? To pass by with a quick hello or just pass by? "They" say the greatest complaint about pastors is that we don't visit enough. The factor that limits my visiting is time. I know how human nature works. Real conversation does not happen in a quick visit. To connect with people on a meaningful level demands time and it seems like that's the resource I have the least of. To solve his problem Paul pushed the visit into the future. He essentially said "I will come later when I have more time. Right now I have a more pressing need to get to Ephesus." The frustrating part about pushing things into the future is that sometimes that future dream of having more time later never comes. Here is where I take comfort. Jesus understands. He was here. He walked in the limiting dimension of humanity. Time and space weighed on Him too. He couldn't be in two places at once. He couldn't stop time or even slow it down. When He told the disciples He was leaving He told them it was to their benefit. After He left they would put their reliance on the Holy Spirit who is limited neither by space or time. When I can't be somewhere I know His presence will be there even if I can't be. God uses us all to bring comfort and support to each other but we must always remember we have an ever present Comforter who never slumbers or sleeps and is not restricted by the binding constraints of time. 16:1 Now concerning the collection for the saints, as I directed the churches of Galatia, so do you also. 2 On the first day of every week each one of you is to put aside and save, as he may prosper, so that no collections be made when I come. 3 When I arrive, whomever you may approve, I will send them with letters to carry your gift to Jerusalem; 4 and if it is fitting for me to go also, they will go with me. In typical Paul fashion he has completed the teaching portion of his letter and is now taking care of some items before giving his farewell greetings to end. First issue is the famine in Jerusalem which is so severe and well known that no explanation is needed or given. He wants them to make it the first priority of the week for each family to set aside whatever they can and when he arrives it will be sent (with letters from him to those in Jerusalem) by whomever they designate. Some have used this as an attempt to show the church in Corinth met and worshipped on Sunday. Not only is that unsubstantiated anywhere else, it isn't substantiated here either. Why would each family need to set money aside on the first day of the week if they were at church? Paul is advocating a personal savings strategy so that when he comes everyone will have whatever they can give ready to go. It just goes to show how we all desperately look for anything to back up what we want to be true. That issue aside, there is something much more positive and amazing happening here that would be easy to miss. Christians in Galatia and Corinth are setting aside money to send to Jerusalem. Jerusalem - the religious center of the most prideful and prejudice people on the planet. To them Galatia and Corinth are less than nothing. Gentile dogs live there. I point this out to show how much the gospel is changing people. Yes there are issues in Corinth in the church. Sexual sins are still waging war. Pride and division are trying to multiply like cancer cells. Spiritual gifts are being misused and abused. If you are looking for perfection you will have to search somewhere else and yet the effect Jesus is having on them is undeniable. As a pastor for over 20 years I can tell you there are two areas where people get really "human" really fast - food and money. Don't tell people what to eat or what to do with their money unless you are ready for push back. And yet these less than perfect (yet saints in the eyes of God) people have hearts big enough to send their own money to a city that has for centuries hated them. Jesus changes hearts. Maybe not as fast as we think He should but He works at our pace. He forces no one. He loves relentlessly and let's us do with His love as we choose. In Corinth they are choosing to extend His love to their enemies and that is a beautiful thing. It's almost a year now that thousands had to flee Fort McMurray. I well remember the generous outpouring of support. I was proud both of my church and my community and the entire province. Love is not dead yet. Where Jesus abides it never will be. Love awakens love and love wins. 15:58 Therefore, my beloved brethren, be steadfast, immovable, always abounding in the work of the Lord, knowing that your labor is not in vain in the Lord. Technically love involves work. Jesus told a story about the difference between a shepherd and a hireling. A shepherd loves his sheep. When a wolf or lion comes to attack one of his sheep he risks his safety and even his life to protect that lamb. A hireling is with the sheep to make money. He doesn't care about the sheep. If it comes down to a choice between saving a lamb or saving himself the hireling will flee every time. I mean what is the point of working for money if you're dead? The shepherd makes a living too. There is a monetary benefit to what he does but that's not even part of the equation when a lamb is being attacked. He defends it because he loves his sheep. So the one who loves works more and risks more. Technically love is work but that thought never crossed the mind of the shepherd when he's fighting off the wolf and neither is his reward the monetary value of the rescued lamb. His reward is to hold it safe in his arms when the struggle is ended. One day the disciples started listing off all the things they had done and/or given up for Jesus and flat out demanded to know what the payout/reward was going to be for them. What would be the return on their investment? See at that point in their relationship with Jesus it was a lot about reward and little about love. After the cross the disciples really let go of everything including their own safety and freedom yet there was never any more talk about payback. Technically love is work yet love never submits a bill. Will there be a reward? Sure but it won't be measured in gold or silver. The greatest reward I could hear from Jesus is "Well done..." but what I'm looking forward to the most is standing off to the side watching others meet Jesus face to face for the first time. Moses was a true shepherd of the people and he offered to miss out on the rewards of heaven if it would benefit others. That's love. 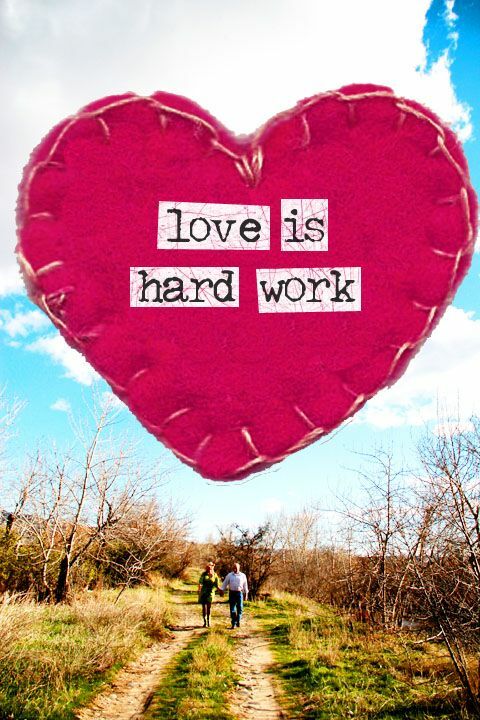 Technically love is work but no one punches the clock. 1 Corinthians Day 108 - Are You Ready For This? Those who wish to lead entirely selfish lives and still hope for heaven love to quote "For it is by grace through faith that you have been saved, not by works, lest any man should boast." Those who look forward to handing God their resumé delineating the 47 reasons why they deserve to be in heaven love to remind us that "faith without works is dead". The rest of us stand back confused. The truth is not in the middle as too many have come to believe. It's not some careful theological balancing act of just the right amount of grace and just the right amount of works all held together delicately but firmly by faith. When Paul said our works have nothing to do with it he wasn't exaggerating for effect. There will be not one person who buys or earns heaven. James was also fully correct when he pointed out the lack of love in the church and said "faith without works is dead". But please understand there is no contradiction. On the surface I fully admit it seems confusing. The great reformer Martin Luther escaped the whole delusion of buying heaven or buying God's favour. He learned to his great relief that "the just will live by faith". He found that in Romans 1 quoted from Habakuk in the Old Testament. As he kept studying he got to James and read that faith without works is dead and he bristled. He felt James was wrong. He called his little letter the Gospel of Straw for many years. He believed James was the source of the heresy that lead to the church selling heaven through indulgences. I am happy to report that Martin came to understand that James wasn't wrong. James was making a different point entirely. Now back to the excitement of our text. Death is conquered! The sting (literally stinger, as in that of a bee) has been removed. Death is powerless. 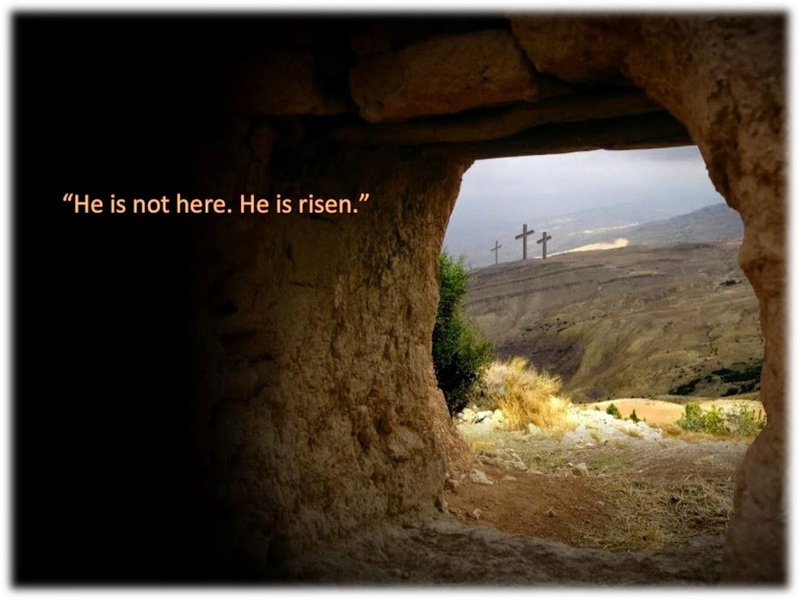 Jesus conquered the grave. Death was a byproduct of sin. Jesus was sinless. Sin was brought into effect by the law. Jesus kept the law perfectly. Death had nothing to say to Jesus. He came, He lived, He succeeded where Adam failed. He offers a new alternative to us. It is His gift to give. Not one of us can stare death in the face and claim sinless perfection. No resumé will suffice. Our only hope is "in the Lord". So why does Paul ruin the moment with talk of toil/work/labour? What is he talking about? If Jesus paid it all and all to Him I owe what can be added through any work of mine? I'm glad you asked. The answer is nothing. Nothing can be added. Gifts can only be received. Once purchased they cease to be gifts and in the case of salvation and conquering death we have no way to pay even if it were for sale. "But thanks be to God, who gives (see it's a gift) us the victory through our Lord Jesus Christ. 58 Therefore, my beloved brethren, be steadfast, immovable, always abounding in the work of the Lord (His work, not ours), knowing that your labour (what is our labour?) is not in vain in the Lord. The hard work of the Christian is to remain "in the Lord". It is to trust fully in His gift and add nothing to it. That is where we must remain, immovable and unshakeable. That's the labour that will not be in vain. So what about James? What was he saying? He was saying this: A sunburn without burned skin is a farce. Anyone who is truly "in the Lord" will be changed by the experience. It's impossible to rest in the unselfish arms of the Almighty and remain selfish. That's all he was saying. The life of faith has an inevitable effect on a person. If there is no effect there is no faith. The problem for such a person is not that they lack works. It is that they lack faith. They haven't been melted and subdued by the Person of Christ at all. They are in a mechanical religion for selfish purposes untouched by the relentless love of God. Run to Jesus. Stay with Him. Let nothing and no one move you from Him. The rest is all Him and it's indescribably beautiful. Death is even powerless in the face of our clinging to Him who is Life. 15:50 Now this I say, brethren, that flesh and blood cannot inherit the kingdom of God; nor does corruption inherit incorruption. 51 Behold, I tell you a mystery: We shall not all sleep, but we shall all be changed— 52 in a moment, in the twinkling of an eye, at the last trumpet. 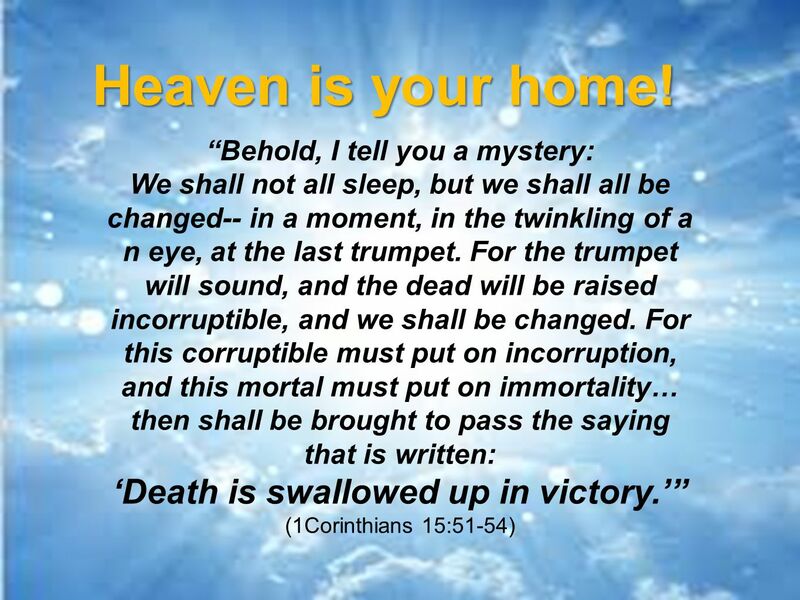 For the trumpet will sound, and the dead will be raised incorruptible, and we shall be changed. 53 For this corruptible must put on incorruption, and this mortal must put on immortality. 54 So when this corruptible has put on incorruption, and this mortal has put on immortality, then shall be brought to pass the saying that is written: “Death is swallowed up in victory." Paul here is talking about two groups of people. When Jesus returns (which he here refers to as the last trumpet (see 1 Thess. 4:13-18)) there will be billions of people sleeping in their graves but there will also be billions more who are alive, who have not died. The dead who went to sleep believing in Jesus will awake with brand new bodies, different bodies, bodies ready and equipped for the journey home. Paul calls these bodies incorruptible and immortal. He also reminds us that those still alive when Jesus returns aren't keeping their old bodies either. In an instantaneous flash we will have new ones, incorruptible and immortal. Bodies that can travel through space. Bodies that won't age or wrinkle. Joints that won't wear. There is a commonly held belief even among Christians that we are immortal now. This is not taught anywhere in the Bible. In fact very much the opposite is taught. In his letter to Timothy, Paul clearly states that only God is immortal. For anyone unclear on the word, mortal means able to die and immortal means cannot die. The Bible says the wages of sin is death, not eternal life in a different place. The Bible says death is a sleep in which our thoughts perish and we have nothing more to do with anything that is done under the sun. The notion that dead people can return or talk to us from beyond the grave is pure deception. They are fully and completely asleep. They know nothing. The passage of time is immaterial to them. When Jesus returns it will be for Abraham as if he blinked. One moment he was old and feeble and dying and the next instant he will be more healthy and alive than he ever was in his previous life and traveling through the air to meet the same Jesus he had talked with so many times. 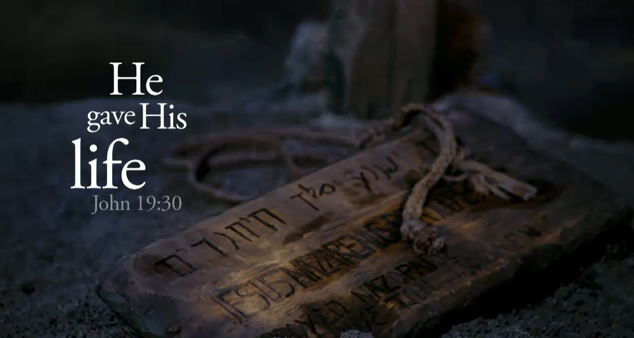 The thousands of years that passed between his death and his resurrection were just a moment to him. "39 And all these, having obtained a good testimony through faith, did not receive the promise, 40 God having provided something better for us, that they should not be made perfect apart from us." It's simple. We're all going Home together. Abel is still sleeping. Noah is still sleeping. Abraham is still sleeping. They are not in heaven. They are not yet immortal. They have yet to receive the promises of life eternal, of a new body, of a home in heaven with God. God decided this brilliant plan whereby it will feel instantaneous yet we'll all be there together at the same time. Husbands who died first don't have to watch their widows grieve or wait a decade or more for them to arrive. Parents don't have to wait decades for children and grandchildren to arrive in heaven with them or watch them go through the suffering this life can and does bring. Imagine if my mom who died 6 years ago had had to watch my nephew die at 5 years old and then watch my sister and brother-in-law and our entire family suffer his loss. Could she enjoy heaven? God's plan is infinitely better. We live. We sleep. We all go home together when the war is over. No more tears. No more pain. No more sickness. No more death. 15:46 However the spiritual is not first, but the natural, and afterward the spiritual. 47 The first man was of the earth, made of dust; the second Man is the Lord from heaven. 48 As was the man of dust, so also are those who are made of dust; and as is the heavenly Man, so also are those who are heavenly. 49 And as we have borne the image of the man of dust, we shall also bear the image of the heavenly Man." When I was a young person at the age when I was starting to wrestle with what I was going to believe and asking some of the big questions I remember distinctly being angry that I had been born. I never asked to be born. If I hadn't been born I wouldn't have to choose what I believed or face the struggles of this life and my ultimate destiny. How could I be held accountable for a life I never asked to live? A lot has changed since then but one thing has not. I am a victim or my heritage. I am balding by inheritance. I struggle with my weight by inheritance. Stubborn, impatient, distorted thinking, the list goes on and on. I am not just a child of my parents either. I am a son of Adam. I came from dust and to dust I will return. In our passage today Paul creatively contrasts Adam, the natural man made from dust and Jesus the Lord from heaven. I inherited the line of Adam but I can choose the line of Jesus. He came to offer a different destiny. Atheists get it. No Jesus equals no alternative. Dust to dust. All follows the course of nature. There is just one path. With Jesus there exists a new choice and if we choose Him we become what He is! It's true I never asked to be born. I see it differently now though. I have an opportunity. I can take this free life I have been given and do as I please with it. It's like inheriting money. You didn't earn it or ask for it but you can do with it as you wish. I can even opt out. Many do. They get overcome or overwhelmed by this life and choose to leave early. Jesus opted out early for an entirely different reason. He did it for us. He did it to make us aware that there is an alternative path. He came to seek and save the lost. He came to rescue those who understood they were trapped in a life/death cycle they had no power over. Worse than the cycle of life and death was/is the tyranny of sin. Doing what we do not want to do and failing to find the strength to do what we wish we could. Jesus came to set us free, to open the narrow way to a new future. It's still our choice. He won't force us. Love never forces. It's also not a "Follow Me or else!" scenario. It's a simple choice between remaining a child of Adam and returning to dust or choosing life eternal with the King of Kings. Nothing to lose and everything to gain. 15:35 But someone will say, “How are the dead raised up? And with what body do they come?” 36 Foolish one, what you sow is not made alive unless it dies. 37 And what you sow, you do not sow that body that shall be, but mere grain—perhaps wheat or some other grain. 38 But God gives it a body as He pleases, and to each seed its own body. As only Paul can write, some of that seems quite confusing but when you boil it down it's really quite simple. Apparently there was significant doubting/questioning about the resurrection. In fact just the other day I found myself in a conversation with a couple of people about burial vs. cremation and one concern about cremation was that there would be no body to resurrect. Well first of all some have been buried for thousands of years and there is no trace of a body left. Secondly God is not going to recycle our old body. We are getting a new one. Furthermore there is significant evidence that the new one won't even be the same. Consider the clues we have from Jesus' post resurrection body. He was not physically recognizable. On a few occasions after His resurrection those who knew Him well could not recognize Him based on His physical appearance. Secondly he walked into a locked room without opening the door. Third, He ascended to heaven without a space suit. At the same time He was careful to point out that He had a body of flesh and bones. He ate food. He walked and talked. He was the same yet different. Heaven will be a new dimension for us and we will have different bodies to meet the new dimension. However we will still be us. We will be recognized by our character, not the packaging which underscores the truth that really matters in all this. The truth is he never fell in love with her. He fell in lust with her appearance. I don't know what I will look like in the resurrection. It doesn't matter. I will still be me. So work on the parts you are keeping: Your mind, your thoughts and affections, your inner person. That's the part God is preserving and bringing Home. The body is just packaging. 1 Corinthians Day 104 - The Knowledge of God? 15:33 Do not be deceived: “Evil company corrupts good habits.” 34 Awake to righteousness, and do not sin; for some do not have the knowledge of God. I speak this to your shame. "Do not be deceived: "Evil company corrupts good habits." Return to righteousness, and not sin; for some have become willfully ignorant of God. I say this to your shame." Apparently some in Corinth left their old lives and sinful habits but have returned. I can tell you from experience that it's easier to live as a Christian among people who don't know Him at all than it is to live among those who claim to be His but live as they please. It's always a danger to slip back into old patterns but far more likely to happen if those around you are living two-faced lives. The solution is simple. Consider Jesus. Who did He have to support Him on His mission and help keep Him on the straight and narrow? His disciples didn't even know what His mission was and when He tried to tell them they opposed Him. Jesus didn't ditch them. This passage is not a call to ditch imperfect friends although there is a time and a place for putting up firm boundaries with people who are either toxic or determined to make you fail. The book of Proverbs has some good wisdom on that. However if we tried to root out every person who may have a negative influence on us we would end up with no friends and then we'd realize our greatest enemy to success is ourselves. Easy, make Jesus your best friend. Keep Him with you everywhere you go. It's hard to go from your knees or His Word straight into sin so don't leave Him behind. Keep Him with you. Jesus with you is a far greater influence for good than anything else. That's why Jesus when He was here began every day by Himself with His Father. Otherwise the constant grind of being with people who had a completely different agenda would have worn Him down. The solution was right in the verse. Those turning back to sin we're willfully leaving God out of their lives. Our hearts and minds are living and active. They are either growing brighter and better or darker and worse. God is the Source of good. Satan is the source of evil. Where you choose to be and Who you choose to be with will determine who wins your heart and mind. Choose wisely and make the choice anew every day. Remember what Paul confessed yesterday. "I die every single day..."
Die to sin and self and let Jesus live in and through you. 1 Corinthians Day 103 - Baptism for Dead People? 15:29 Otherwise, what will they do who are baptized for the dead, if the dead do not rise at all? Why then are they baptized for the dead? 30 And why do we stand in jeopardy every hour? 31 I affirm, by the boasting in you which I have in Christ Jesus our Lord, I die daily. 32 If, in the manner of men, I have fought with beasts at Ephesus, what advantage is it to me? If the dead do not rise, “Let us eat and drink, for tomorrow we die!" I am sorry if this is going to sound unkind but I must point out that there is no limits to human extremism and fanaticism. Some have taken this one verse from Paul and turned it into a teaching whereby the living get baptized on behalf of the dead. The idea is not mentioned anywhere else in all of Scripture and this one place where it is mentioned Paul does not use the inclusive word "we". He uses the word "they" because baptizing living people to benefit the dead is not and never was a Christian practice. Paul was obviously referring to a pagan practice the Corinthians were familiar with to prove a very simple point. There is life after death. If there is no life after death why do we concern ourselves with the date of dead people? Furthermore why do we live in a way that imperils our present life if there is nothing afterwards? Would a person invest for retirement if he or she were going to work until they died? Paul is simply affirming the resurrection, the whole idea of life after death by any means possible. In verse 30 he asks "Why so we live in jeopardy every hour?" To be a Christian then was to be hated on all sides and literally life threatening. Why live that way if this life is all there is? Indeed he concludes if there is no resurrection let's just say, drink, and be merry. However there is one thing Paul says in there that is worth some extra attention beyond his main point. He said "I die daily". What did he mean? If he died daily he must have also resurrected daily. In another place Paul wrote "you were dead in trespasses and sins but have been made alive in Christ." For Paul life does not start until you find Jesus. After you find Jesus the old man that was buried in baptism keeps trying to resurrect. Paul describes that struggle in Romans 7. That's why he dies daily. Every morning he gets up and chooses to die again. To leave that old man of sin in the grave and walk in his new Christ following life. No longer is Paul considered with physical life and death. If physical life were his main concern he would stay as far away from Christianity as possible. Being a Christian was a great way to die prematurely. Instead Paul was only concerned with being alive spiritually. He wanted his heart to be in harmony with the heart of Jesus. He knew in the resurrection only character matters. This physical life is nothing compared to the eternal life of perfect peace and matchless love. As one author put it, when God's kingdom is restored and sin is no more, one pulse of harmony will beat throughout the vast creation. There is a better day coming. There is life beyond this mess of a planet. Even the pagans looked for life beyond because we were created with eternity in our hearts. 15:22 For as in Adam all die, even so in Christ all shall be made alive. 23 But each one in his own order: Christ the first fruits, afterward those who are Christ’s at His coming. 24 Then comes the end, when He delivers the kingdom to God the Father, when He (Jesus) puts an end to all rule and all authority and power. 25 For He (Jesus) must reign till He has put all enemies under His feet. 26 The last enemy that will be destroyed is death. 27 For “He (Jesus) has put all things under His feet.” But when He says “all things are put under Him (Jesus),” it is evident that He (God the Father) who put all things under Him (Jesus) is excepted. 28 Now when all things are made subject to Him(Jesus), then the Son Himself will also be subject to Him (Go who put all things under Him, that God may be all in all. We are told in Scripture that Satan was originally a glorious angel named Lucifer. He was very close to God. He occupied a high position. It wasn't enough. He wanted more. He wanted to be above God. The notion is nonsensical. How can a created being be above the One who created him? Of course sin never makes sense anyway. Jesus is the complete opposite. He was one with His Father. He could not be higher. The book of Hebrews tells us Jesus had no need to seek equality with God but instead did something very different. He chose to move in the opposite direction. He went down. Down past the exalted position Lucifer had had. Past all the angels. Past the humans of high rank. Past the humans of low rank. He was born to a poor family, from the worst town in Galilee, with His first bed a feeding trough. As He grew he sought no position. He had no formal education. Even when people began to realize He was no ordinary person and disciples began to follow Him he continued to be a servant leader, even washing their feet before ultimately surrendering Himself to His enemies and dying the naked shameful death of a common criminal. He did it all for love. Death could not hold Him. He proved that life was in His power and death was an enemy brought into the universe through sin. It would see it's end. Jesus is the proof that the day will come when death, funerals, and graves are no more. But that time is not yet. Death will be conquered once for all time when He returns. There is much confusion about that in the Christian world but the Bible is clear. Lazarus died, the friend of Jesus and brother of Martha and Mary. When Jesus said he would rise again Martha said "I know he will rise on the last day." Martha knew how it worked. When Jesus did the unusual and called him back from death he did not call him down from heaven or up from hell. He awoke him from the sleep of death and called him out of the tomb. Read Hebrews 11 and ponder the last verses. Read Peter's sermon at Pentecost in Acts 2. The dead are all sleeping in their graves. They will all be awakened at the same time. All God's believing children will enter heaven together. It will be the most glorious day, and the most wonderful reunion of all history. Faithful Abraham has been sleeping for thousands of years. God has not been able to talk to His friend in all that time. But that's not the most amazing truth contained in our verses today. The most amazing part is Jesus. He stepped down from equality with His Father to be one with us and He will never fully ascend back to His former position. His sacrifice of descent was not temporary. It was eternal. His victory over sin and Satan has exalted Him. Everything will be under His dominion again but Jesus Himself is forever one with us. The scars will remain. He is our elder brother. There's a song I love and it goes like this: "He came down to our level, when we couldn't get up to His, with a strong arm He lifted us up and He showed us what living is." Living is serving. Love is putting no limits on how far one goes to rescue. Satan loved position. Jesus loves His children. The two perspectives couldn't be more opposite. Jesus did none of it to gain a kingdom. He had more position and power before He came than He will ever have again. Jesus did it because Love would do no less. In the Shadows of the Cross Part 7 - Who Killed Jesus? Luke 23:44 Now it was about the sixth hour, and there was darkness over all the earth until the ninth hour. 45 Then the sun was darkened, and the veil of the temple was torn in two. 46 And when Jesus had cried out with a loud voice, He said, “Father, ‘into Your hands I commit My spirit.’” Having said this, He breathed His last. Today's final look at the most important event in history is a critical one. It exposes a truth few see because the opposite is nearly always presented. We will look at how Jesus died. Tradition and even logic suggests He was killed but He was not. He did die, but He was not murdered. Not that long before that Friday when Jesus died He had asked His disciples a crucial question. First He asked "Who do people say that I am?" They answered that there were several theories but no consensus. The one thing most did agree on was that Jesus was no ordinary person. Beyond that there was no agreement. Then Jesus asked "Who do you say that I am?" To this Peter answered "You are the Christ (Messiah), the Son of the Living God." Jesus affirmed his answer by saying "You didn't learn this from people, from consensus, from tradition, or by any other human means. God revealed this to you." Now that they knew who He was it was time to tell them why He had come so for the very first time He told them directly "I am going to die..."
Peter was again the first to speak. "No! This will never happen to you!" Think about it. Satan well knew that the animal sacrifices were but symbols pointing forward to Jesus, the Lamb of God who takes away the sins of the whole world. Satan gained access to this planet and to humanity by the choices of Adam and Eve. He had almost universal control of us. There was but one antidote. If humanity could catch a glimpse of the heart of God, if we could begin to see even a glimmer of the intensity of His love for us, Satan's power would be broken. His lies would be exposed and he well knew it. It is too commonly believed that it was Satan's mission to kill Jesus when the very opposite was true. He was trying at all costs to prevent it. First he worked through those closest to Jesus. By peer pressure he sought to tempt Jesus to abandon the mission and instead become the conquering king they had expected and wanted. Jesus saw through it. He knew the source was not Peter. Later in the garden of Gethsemane Jesus was again tempted to abandon the mission. The hardest phase of His entire life was then. He had to choose between pushing forward to death or fleeing to save His life. Where was this pressure coming from? Have you ever considered the reality that our temptations and desires only have two possible sources? It certainly makes figuring out or sorting out our feelings a lot easier. We are either being promoted by heaven or by hell, by God or by Satan. In the garden Jesus had two competing desires. To go forward to death or to retreat and live. To go forward was the will of His Father. To retreat then was obviously the will of Satan. Think about what Jesus had said about His coming death. "I have the power to lay my life down and I have the power to take it up again." Jesus' life was not taken by Satan or by us. His life was freely given, a random for many. He gave. It was not taken. He was not murdered. He surrendered His life. He died on His terms. So obvious was it that a Roman soldier who probably understood little to nothing about His mission saw plainly that Jesus was in full control of what took place. He looked over the crowd who were trying to kill Him and forgave them for their ignorance and then He gave the breath that was keeping Him alive back to His Father and died. Why is it so crucial to understand this? Because no greater love has any man than to lay down His life for His friends. Jesus raised the dead, walked on water, and repeatedly escaped attempts to kill Him. He wants us to know and understand no one took His life. He gave it. Love gives. Satan never wanted such love to be seen by us or by the watching universe. That's why Jesus said "It is finished". For anyone who looks all the evidence has been presented. When the movie Passion of the Christ was being released one of the controversies was "who will Gibson blame for killing Jesus?" We still don't get it. The delusional Jews said it best while not even realizing what they were saying: "He saved others, Himself He cannot save!" That's because He saved us from our blindness by demonstrating how deep His love was. He saved us by not saving Himself. If there is one story from the cross that brings me to my knees it is the story of Peter. Peter loved Jesus. He really did. Was it a perfect love? Of course not. Part of our problem as humans is we tend to go to extremes. We have all or nothing thinking. We figure if someone loves someone else all should be sunshine and lollipops and if it isn't than obviously they didn't really love the person at all. My son is collecting hockey cards and he consistently comes to me with an old card from players long retired and asks "Dad do you know who this is?" When I say yes he asks "Was he good?" This is to him a simple question. To me it is not. Repeatedly I have tried to explain to him that anyone who gets their face on a hockey card is a good player but that not what he means. He wants to know if they were really good. His next question is "Ok but were they above average?" If I say yes he asks "Were they the best at the time when they played or the best at their position?" Again I try and explain that it isn't that simple. There are several skills involved in playing hockey and each player is stronger or weaker in each of those areas and when you take it all into account it's really difficult to say who is better and by how much. He wants a simple answer to a question that isn't simple. Peter did deny Jesus exactly the way Jesus said he would. His love was genuine but it was flawed. Fear overpowered love because at that point in his life the very real love he had for Jesus was still growing. Peter didn't even know what pure love was yet. Neither do I. Neither do you. I can read about it. I can define it with words but I can also tell you with complete transparency that I do not have pure love for anyone including my wife and children. Here's the kicker. It's ok.
Jesus knew. He knew the limits of Peter's love. He knew Peter was sincere and honest when he claimed infallible love but He also knew he was wrong. And it was ok. The love that will see us grow into the people God designed for us to be is not our love, it's His love. It was His love for Peter that drew him to Jesus in the first place. The Story is not about heroic humans who love God enough. The Story is about broken people who lay their helplessness on His unfailing and relentless love. In a strange way, Peter's denial of Jesus was the best thing that ever happened to him. It crushed all his delusions. It ended any warped ideas of grandeur Peter held. He was not a hero. It was not his love that would save Jesus from death. It was Jesus love demonstrated by His death that would open Peter's eyes and heart to a depth of love he had never known even existed. After the entire painful ordeal was over and Jesus made it more than clear to Peter that He very much still loved him and wanted him to keep going forward as a full disciple Peter's love was still not perfect. And that was ok. The transformation from our dwarfed and warped love to loving like He does is not the result of one giant leap. It does not happen in a moment, a day, or even a decade. And that's ok. It isn't our love that will save us or our children or our neighbours or anyone else. The Story is about His love. A love that will not let us go no matter how flawed we may be. That's good news. That is God news. "Behold what manner of love the Father has given to us, that we should be called the sons and daughters of God." Keep reading that story and you will find that Jesus traveled on to the temple and chased out the money changers and flipped over their tables. The next day when they came back to Jerusalem from Bethany again they passed by the same tree and it was dead from the roots up and the disciples marveled. Jesus responded by telling them if they had faith they could do anything. All this happened on Monday and Tuesday. He died on Friday. Truly we are in the shadows of the cross and Jesus is killing trees? Return a few verses back and you find that Sunday was the grand entrance on the colt. The city was in a frenzy. For generations they had talked about their Messiah and how he would arrive and this was it! By now even though Jesus had spent very little time in Jerusalem He was a legend. Most recently He actually brought a man alive from the grave 4 days after his burial. Sure there was lots of controversy and the church had actually threatened to throw anyone out who professed to believe in Him but when Jesus entered the city the same way Solomon began his reign and the same way Zechariah said the Messiah would enter there was no holding back the crowd. They shouted His praises. They threw their coats and palm branches before Him. You can imagine the confusion of the disciples now. He said He was coming here to die and now this? Then we are told that evening, Sunday evening, before leaving the city to return to Bethany He entered the temple courts and just looked around, quietly taking in the scenes. He had less than a week and He k ew it. It was like He was silently planning out His final moves. He wasted no time on Monday. He cursed a fruitless tree, trashed the outer court of the temple and then taught those who remained, those who could now hear because the market place was gone. The next day they passed by that cursed tree and it was dead. What do we do with that? Jesus cursed the tree because even though it had leaves there was no fruit. I had to prepare a sermon on this story back in college. I had no idea what it was about so I went to the library and started digging. It turns out fig trees grow their fruit first and then the leaves come. It was spring. Mid April. Really it was too early for figs in that area but the this particular tree had leaves. It was the leaves that attracted Him. Leaves meant fruit. With hunger and expectation He went to the tree. You know how it is when hunger meets anticipation of food. He was already salivating. His body was preparing to be fed. Then nothing. Can you see it? That tree was just like the city of Jerusalem and the temple specifically. It advertised substance but there was nothing. People came from all over seeking God only to find a market place. They came to seek His blessing only to find big business with no product. Leaves but no fruit. Temple but no king. A holy building but no Holiness inside. Just as the fig tree was exposed for what it truly was, a barren tree, so Jerusalem was a out to be exposed for what it had become. A den of robbers. A high place of hypocrisy. A monument to everything that is wrong in this world. Recently my dad bought some other brand of duct tape. It looked like duct tape. It presented as duct tape but it was absolutely useless. It wouldn't even stick to itself. Often people flee from God because of hypocrisy, because of places that advertise one thing but produce something else. In cliché terms they throw the baby out with the bathwater. What they forget is that the fake proves the true. My dad never would have been drawn to that silver roll of tape had he not experienced the genuine. No one makes cheap copies if there isn't first something to copy. Yes the world is full to overflowing with bad religion. It fills the airwaves and the TV screens. Churches professing to represent God and to exist for the benefit of the people are run by men who see it and use it as a means to either get rich, control people, or both. This does not prove God doesn't exist. It proves He does. And just as Jesus came back then to turn the tables and then the world upside down, so will He return. The wrongs will be righted. The fakes will be exposed. The truth will be known, and best of all the gnawing soul hunger of all those hurt by trees with leaves and nothing else will finally be satisfied. They will see Him face to face, the One they knew existed all along.